The GEMM Project is founded by the European Commission under the HORIZON 2020 programme. This project addresses the challenges and barriers that European countries face in managing the mobility of persons to realize competitiveness and growth. For markets to function optimally, we identify two migration-related drivers of growth: the efficient use of existing human capital and managing mobility of human capital both from within and from outside Europe. A key barrier for these drivers to contribute to growth is ethnic inequality. Inequality can be a result of the skill composition and resources of the migrant population, but also of markets not functioning optimally, for example due to ethnic discrimination, or institutional arrangements that affect the flexibility of the labour market. Inequality thus inhibits the two drivers of growth and can result in economic decline, the inability to face the demographic challenge in Europe, a scarcity of skilled labour, or an innovation deficit. 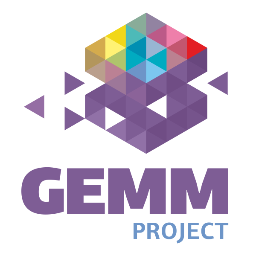 The contribution of the GEMM project is to deliver an in-depth assessment of the two drivers of growth and their relation to ethnic inequality in the European labour market. We achieve this through a unified WP research agenda that focuses on different types of migrants defined by the qualifications they possess. Highlighting the outcomes of migrants by educational level allows us to adopt a more nuanced approach and deliver recommendations of great practical and policy relevance, targeting specific groups of migrants, particularly high-skilled and prospective migrants. Depth is added by considering different determinants of inequality at three levels – individual, contextual and institutional. Objective 3. To better understand the ability of EU societies to attract human capital by capturing the ‘lived’ experiences of mobility and migration. Objective 4. To analyse how institutional arrangements can reduce ethnic inequality and enhance the two drivers of growth in order to realise a competitive and innovative European labour market. Objective 5. To formulate a set of policy lessons informed by the empirical evidence and our analysis of institutional arrangements. Objectives 1 to 4 guide the research undertaken in the substantive WPs (WPs 2-5). Objective 5 translates into a set of policy recommendations (WP6). More specifically, Objectives 1 and 2 address the efficient use of human capital as the first migration-related driver of growth. Objectives 3 and 4 predominantly address the second driver: managing mobility of human capital. Naturally, the drivers are related. Evidence of underutilization of human capital can severely impair the attraction of a receiving society to a prospective skilled migrant. At the same time, little mobility of skilled labour might imply that the full potential of migrant human capital is left unexplored. Each of our substantive WPs has a core focus related to one driver but also delivers crosscutting evidence to encompass the multi-dimensionality of disadvantage. WP4 relates to Objective 3 of this project and focuses on the ‘lived’ experiences of migration. Migration analyses usually provide a cross-section of the outcomes of migrants once they have reached their destination. Mobility is, however, a complex and dynamic process and many decisions are made before and along the journey from sending to receiving country. WP4 provides much needed insight into the migration process that carries significant policy implications about managing mobility successfully. It builds on the trends overviewed in WP2 and WP3 and comments on the salience of climate of reception and institutional provisions (overviewed in WP5) for prospective and current migrants.